There are a lot of personal injury lawyers in Las Vegas, Henderson, Clark County and the surrounding areas of southern Nevada. How do you select the one who is right for you? Below are some reasons why it’s the best option to have the Las Vegas accident attorneys of Koch & Brim, LLP handle your case. At Koch & Brim, LLP a personal injury lawyer — not a staff member — will meet with you and personally handle your case. Whether your case is regarding an auto accident, motorcycle accident, dog bite injury in Las Vegas, or any of the other practice areas that we specialize in, we understand that each case is unique and needs to be planned and pursued in a way that brings about the best result and compensation for you. Only an experienced lawyer can do that! Our team offers offer free consultations and contingency-based fees. Our Las Vegas injury attorneys offer over 42 years of legal experience. They understand Nevada law and have handled many different types of Las Vegas personal injury cases for their clients. Whether your case is an auto accident, pedestrian accident or even a premises liability case, we can help fight for you! We have gained a great reputation in Nevada and have accreditations from the Nevada State Bar Association, Clark County Bar Association, Nevada Justice Association, The Million Dollar Advocates Forum, and Martindale Hubbell to name a few. We represent clients throughout southern Nevada and Clark County, including the cities of Las Vegas, Henderson, North Las Vegas, Boulder City, Mesquite and more. Contact us for a free consultation and case evaluation with an experienced Las Vegas personal injury attorney. If you were injured by another person’s negligence you are entitled to make a personal injury claim. If a loved one died in an accident that was someone else’s fault, the family of that person can make a wrongful death claim. If you were visiting Las Vegas and were injured, we can help you. It does not matter if the accident happened on public or private property or whether you are even a resident of Nevada. If an injury or death occurred because of someone’s negligence, then that person – and their employer if they were working – is liable. Sometimes the negligent party doesn’t have insurance-what then? In many cases our Las Vegas personal injury lawyer team can find insurance that didn’t seem available at the beginning of the case but was there all along. Pain or Suffering. If your injury has left you with long or short term discomfort, you can factor this into your compensation. Even if the pain is emotional, the Las Vegas accident attorneys at Koch & Brim can help you determine what you are entitled to. Medical Bills. Even very minor injuries can rack up extensive medical bills. You might need to consider not only the previous medical expenses, but also factor in any additional medical treatments that you will need for your injuries. Loss of Wages. If your injuries are severe enough, they might keep you from returning to your previous job functions in the same capacity. If you were forced to take an extended period of time off of work to recover, you can factor in the missing wages and loss of earning capacity into your compensation. When Should I Contact a Lawyer after an Accident or Injury? It is always recommended to seek medical attention immediately after an injury, just in case there are any major or unforeseen complications. That being said, you should contact an injury lawyer as soon as you safely can. How Long Can I File a Personal Injury Suit in Nevada? Be sure you don’t wait too long, though. There is a limited period of time called the Statute of Limitations, in which you can legally submit a claim for injuries. In the state of Nevada, the standard statute of limitations for filing a Personal Injury case is 2 years after the date of the injury, according to Nev. Rev. Stat. § 11.190(4)(e) (2016). For a Wrongful Death claim, it is also 2 years, according to Nev. Rev. Stat. § 11.190(4)(e) (2016). In a Las Vegas injury case, there usually exists a responsible party that failed to meet certain safety requirements and resulted in the accident or injury. This is considered “Negligence.” If the courts determine that the responsible party failed to meet these requirements, then the victims involved would be liable for damages. Partial fault can also be a factor in cases in Nevada, so a percentage of fault would have to be determined for both parties, and factored into the compensation amounts. What if I Don’t Currently Have Insurance? After an accident happens, many people aren’t sure what to do. What if you do not have health insurance? If you do, will your health insurer pay your medical bills? Or, if you have gone to your family doctor or primary care physician, will your doctor still treat you after finding out you were in an accident? Even if you have no medical insurance we can help you get the treatment you need for your injuries, and will arrange for you to get medical attention immediately so your injuries can be evaluated and treated. If you have health insurance but are worried about whether your health insurer will pay your bills, or if your doctor is concerned, please contact our Las Vegas injury lawyers. We will work directly with your doctor and health insurer to make sure that your bills get paid. ONEWe have collected millions of dollars in out-of-court settlements and jury verdicts for our clients. TWOYou will meet with one of us, not with a paralegal or secretary. 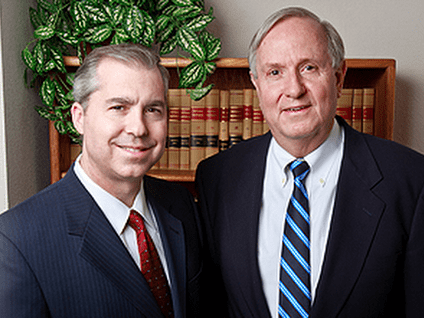 THREEWe have practiced law for over 40 years and will give you an honest evaluation of your case. FOUROne of us will handle and negotiate your case personally, not a staff member. FIVEWe will return your phone calls. SIXOur offices are easy to reach from any part of the valley. Koch & Brim in Las Vegas serves clients in Las Vegas, Henderson, Summerlin, Green Valley, Boulder City, Laughlin, Pahrump, Sun City, Nellis AFB and other communities in Clark County and southern Nevada.